Welcome back! So happy you're here! 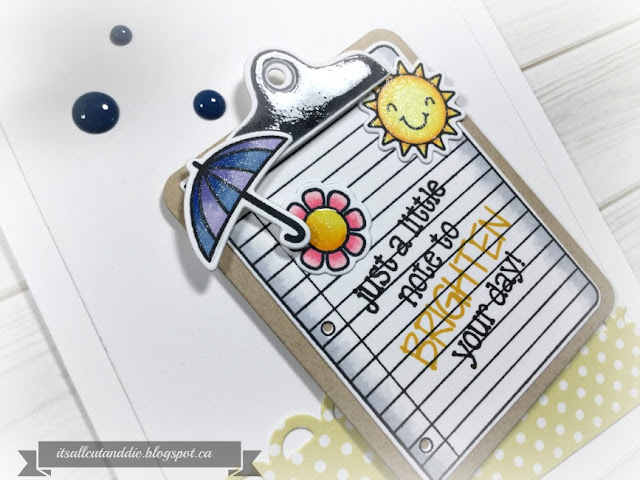 I love Tag It Tuesday because tag dies are so versatile! 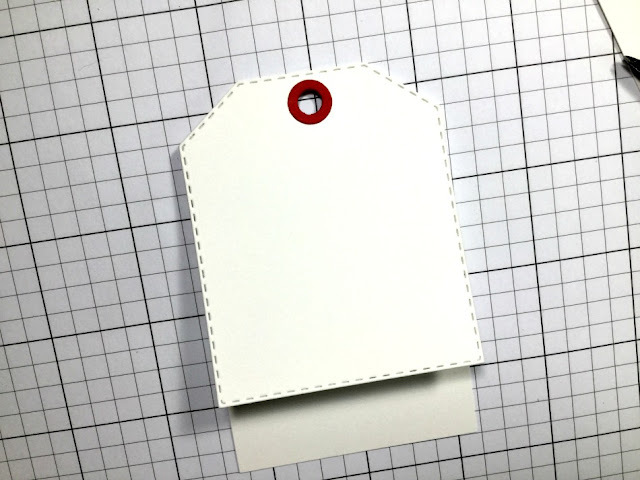 You can use it as intended, as a tag, you can place the tag onto a card base for a fun design element or you can even make the tag into a card itself! So many possibilities!! Today, I made a tag with a fold. Not quite a card but almost. 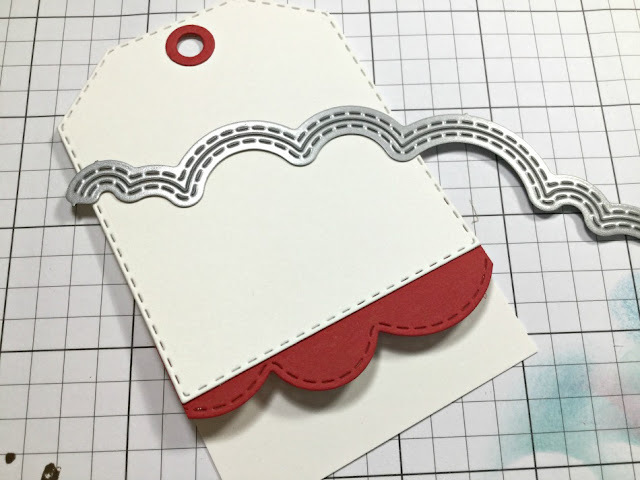 I started by die cutting the fourth largest tag dies from the Chunky Stitched Tags Die Set. I then used this die cut as a template to create what will be the back portion. The back flap is approximately 3/4 inch longer than the front. I made a score line on the back flap before adhering the two pieces together which will make it open easier! This particular set of dies does not have the hole portion as part of the die so I used a hole punch. Now what worked amazingly well as the reinforcement of the hole was the little donut die from the Just Brew It Stamp and Die Set ! How's that for luck?? I cut and decorated a bunch of cookies from the Baked With Love Stamp and Die Set to decorate the front of the tag. Before sticking everything together, I decided to add a decorative border along the edge of the front flap. 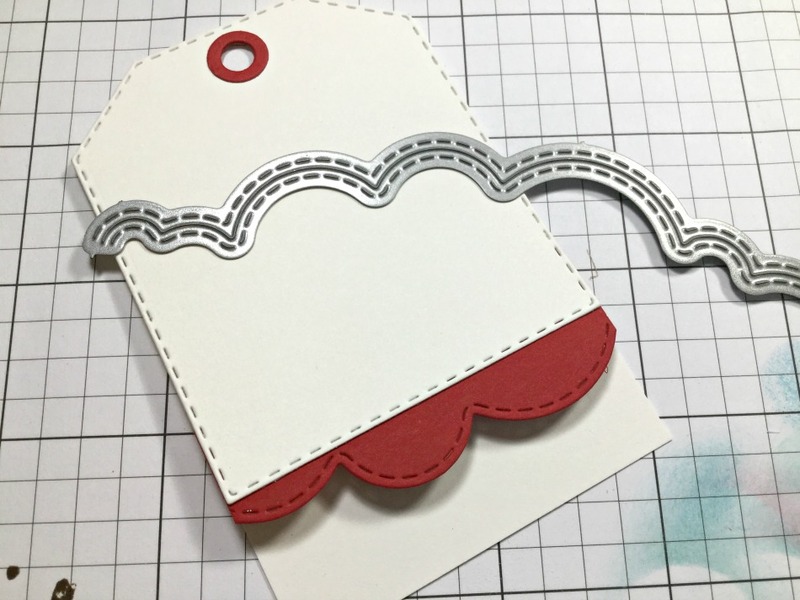 I used the scalloped die from the More Stitched Edges Die Set to cut a piece of red cardstock. I think this finished the edge nicely. I silver embossed the sentiment and adhered all the cookies onto the front of the tag. I stamped "Thinking of You" on the inside of the tag which comes from the Mini Spring Greeting Stamp Set. And that's my tag for today!! 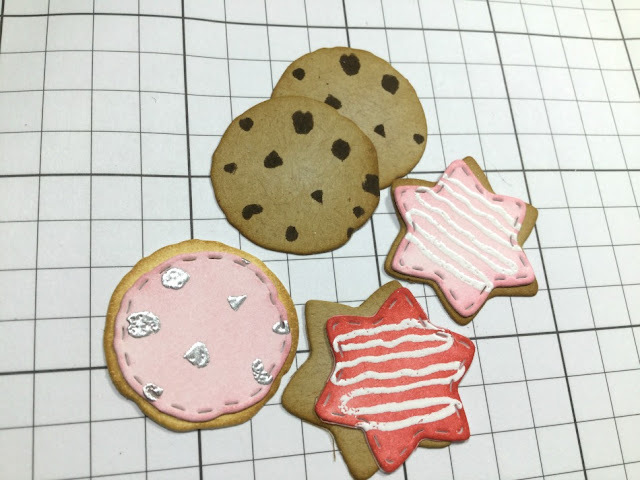 Really easy and fun to make! 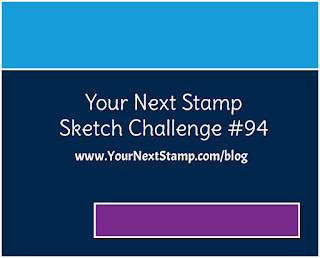 Your Next Stamp Challenge #94! Welcome back, crafty friends! 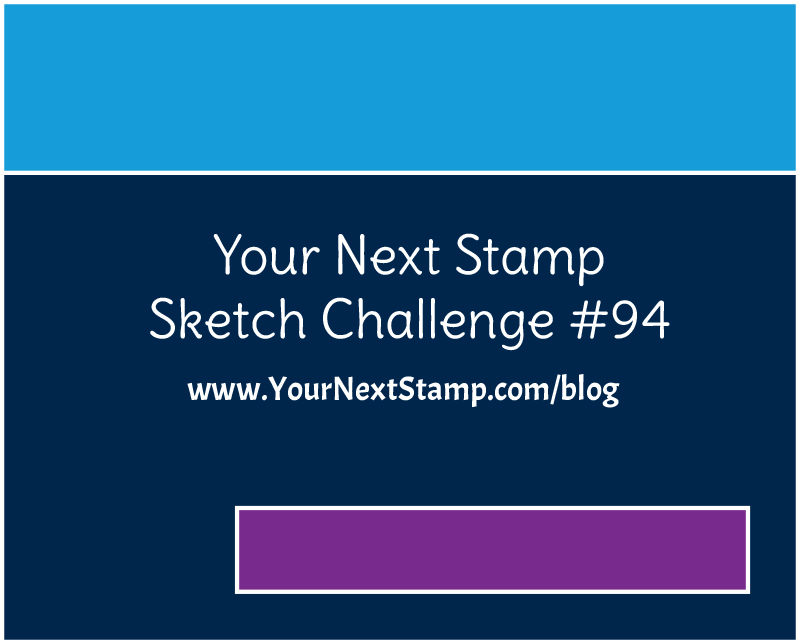 Are you ready for another Your Next Stamp Challenge?! Both the sketch and the colours are pretty awesome but I went for the colours (of course)! 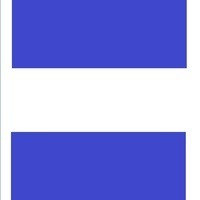 Here are the colours. Such an array of soft shades. You can choose the sketch, the colours or mix things up and combine both!! You're playing to win a $15 gift certificate from the Your Next Stamp shop BUT if you use YNS products on your creation, the dollar amount increases to $20!! 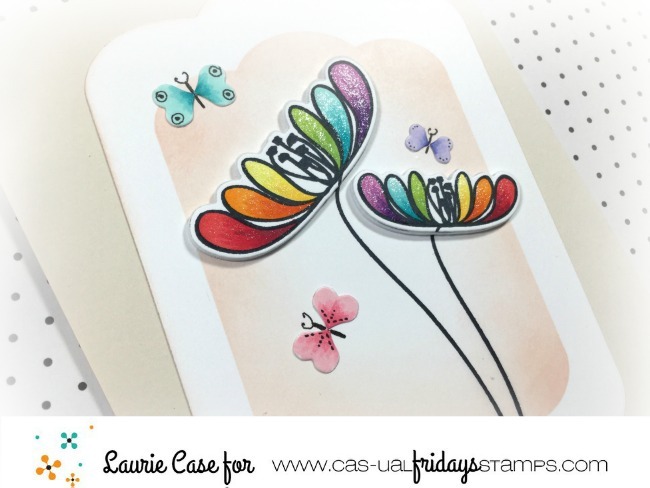 I used the Fall of Colour Stamp Set along with the co-ordinating dies for my card today. 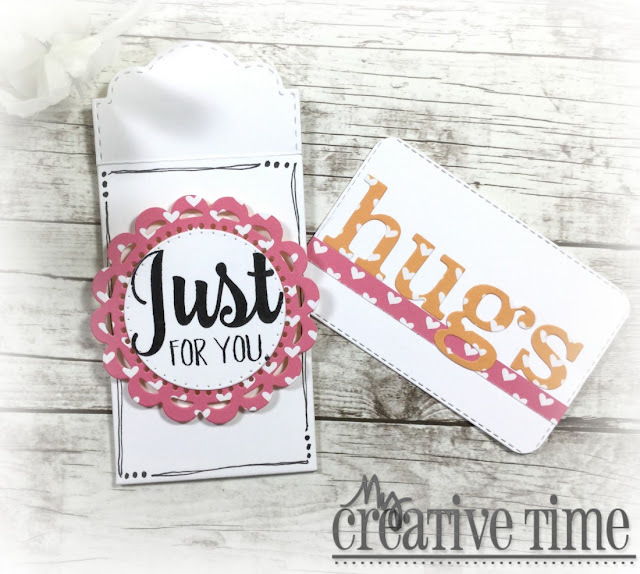 This is an adorable set that has both outline and solid images and dies to cut to everything! I chose Copic in yellow, green, pink and orange. To incorporate the last colour I used ivory cardstock. I know summer is still here but I really wanted to colour up this set! And I adore those acorns!! 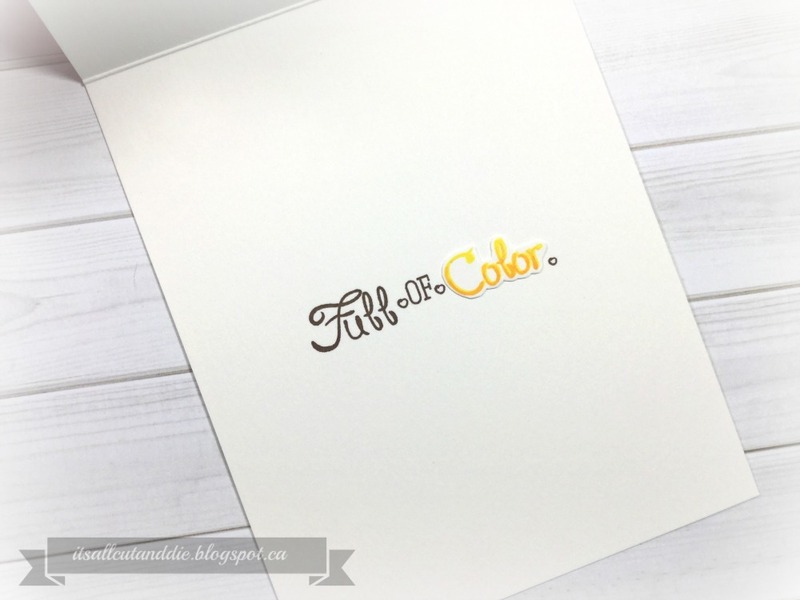 I thought I'd dress up the inner sentiment with a little selective inking, ombre stamping on the word "color". A few white gel pen detail, glitter pen and Glossy Accents add some pizazz to the acorns and leaves. And because I can't leave well enough alone, I added the hand drawn border! I hope you found a little inspiration here today! 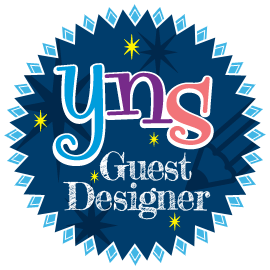 Remember to link up your creation on the YNS BLOG! Have fun and good luck! Welcome back!! It's Anything Goes for My Creative Time but I chose to make a card today!! I used stamps and dies that were just released because I love them so much!! I also got my hands on a few of the new Distress Oxide Inks so I was dying to get a little inky!! To switch things up a little, I decided to make a 4 bar card. This measure 3.75 X 5 inches. 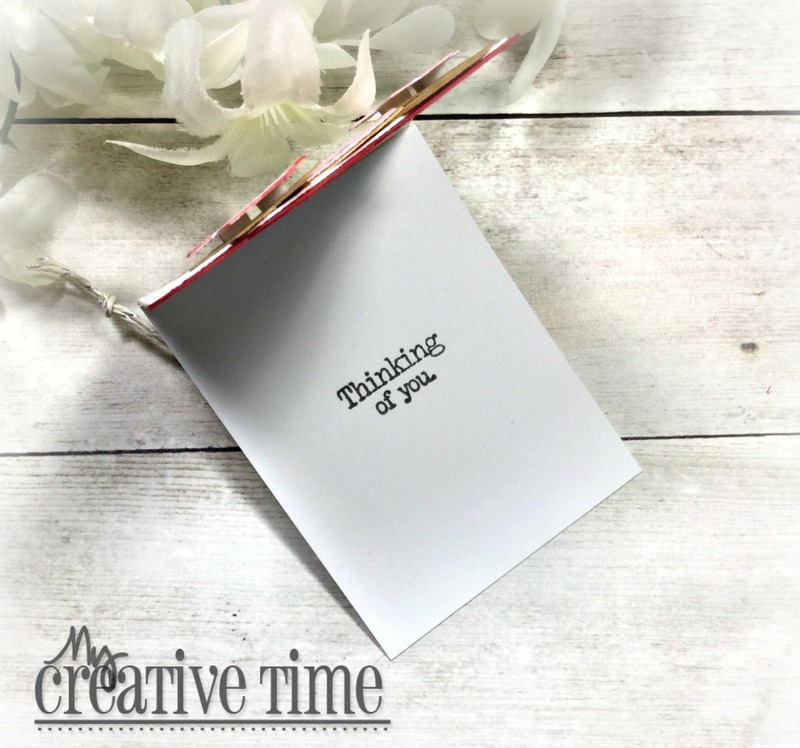 I love this size of card as it's a little easier to decorate! 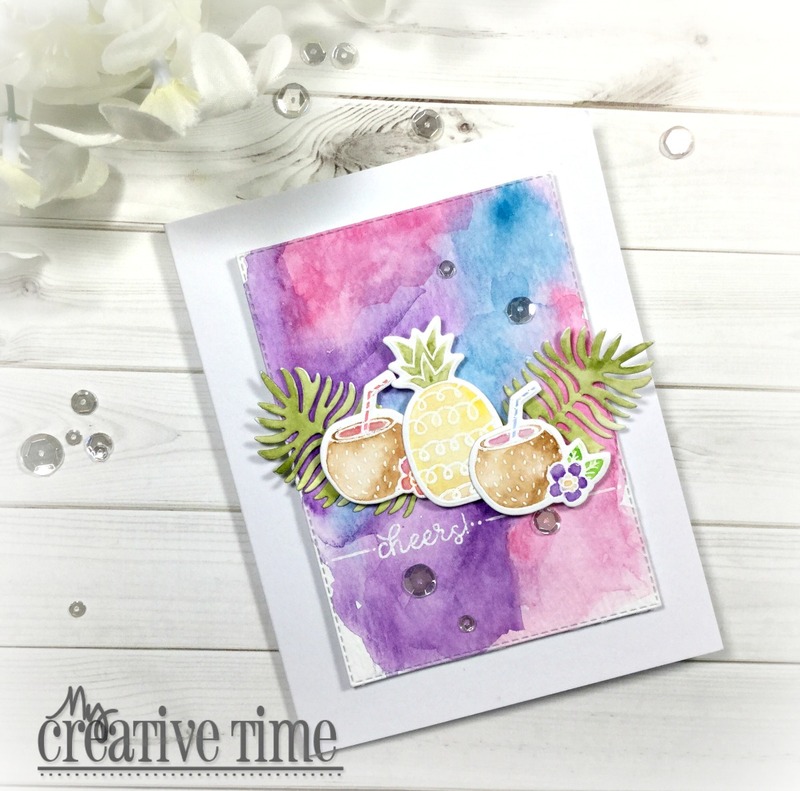 I cut a circle using a die from the Bunch of Fun Circles Dies to create a little tropical scene. I used Mustard Seed, Picked Raspberry and Dusty Concord Distress Oxide Inks for the sky and Gathered Twigs for the "beach". To create a bit more interest, I created a mask using one of the dies from the More Stitched Edges Die Set. This resembles clouds. I lightly blended the same ink colours over the background. When that was done, it was time to work on some greenery. I used the awesome, new Summer Vibes Stamp and Die Set. I love the extra leaf dies that come in this set. 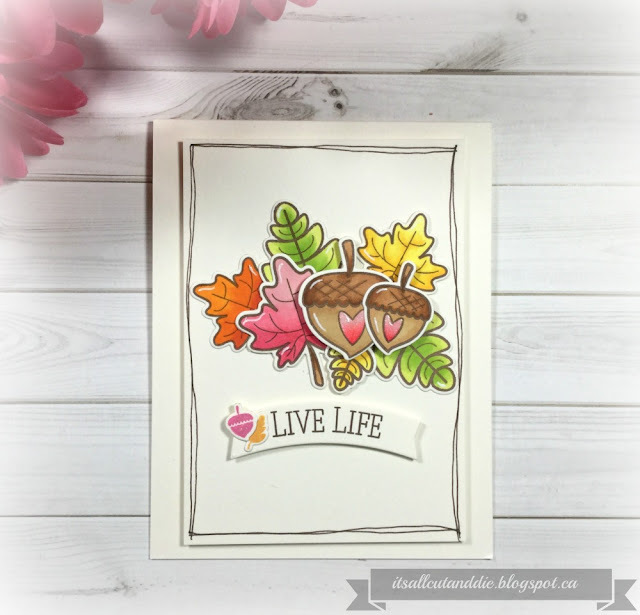 I used Crushed Olive, Mowed Lawn and Twisted Citron Distress Oxide Inks to blend on some colour!! I knew this was going to be a clean and simple card but I had an embossing folder that would tie into my design perfectly! 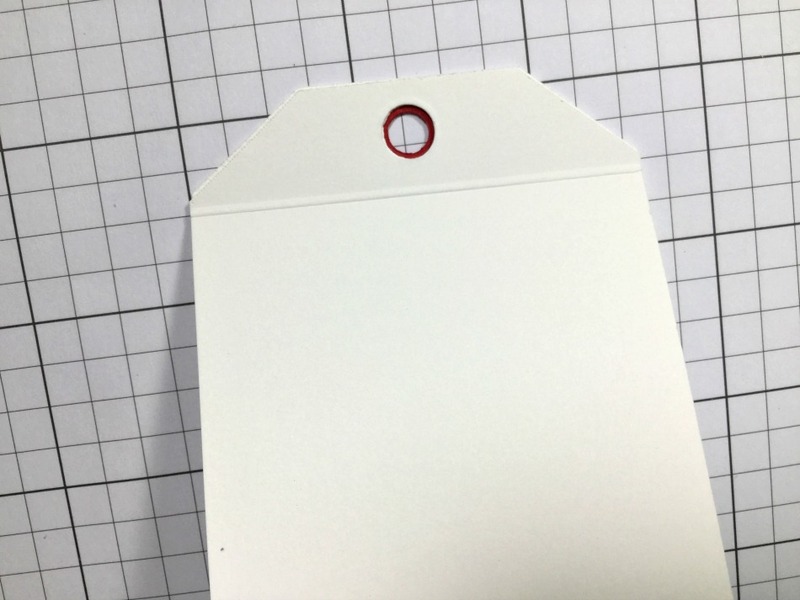 I used it on a white panel that was cut slightly smaller than my card base. I adhered the leaves on the outer edges of the ink blended circle and snipped off any excess. Then stamped the sentiment directly on the circle. The sentiment is also from the Summer Vibes Set. I love how the bright colours pop off the white base!! 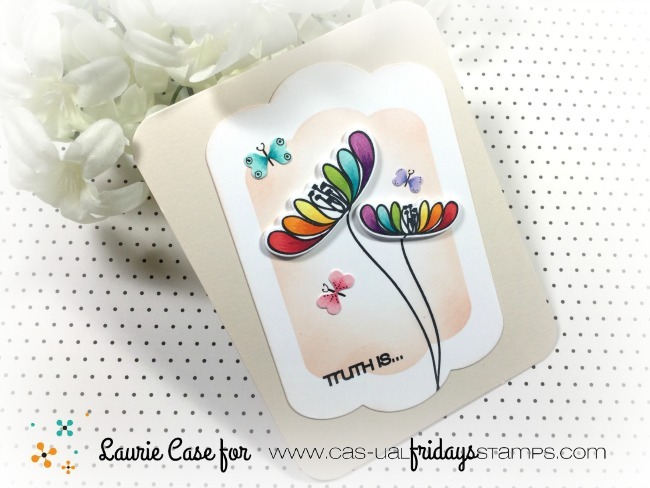 I seriously think this is a must have stamp and die set!! Thank you so much for stopping by today! Your Next Stamp Feature Day!! 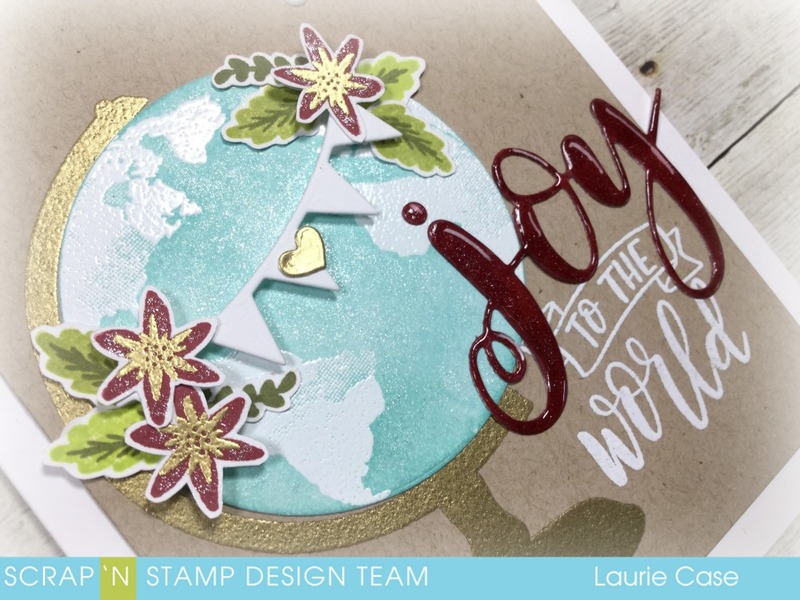 Welcome to the Your Next Stamp Feature Day where the theme in "Christmas in July"!! I am not even close to thinking about winter or Christmas but I must admit, it is nice to mix things up through out the year! It was actually fun to dig through my seasonal stamps and have a play! I own a few Christmas themed sets from YNS and did use one. But the main focal point comes from a non-Christmas stamp set. Did you know you could make a Christmas card out of ANY set you own? Just use traditional Christmas colours and sentiment and any image you use becomes festive!! Or, you can use a Christmas set in non-traditional colours...I love doing that! Anyway, enough chatter. Let's take a look at what I made. I stamped two To-Go Cups from the Thanks A Latte Stamp Set and coloured them in warm greys, green and red. This is the VERY FIRST stamp and die set I purchased from YNS...it's a classic!! I used the co-ordinating dies to cut them out. The die set has super cute "sleeves" and other shapes to decorate your cups. I chose green and red papers to match the lids. 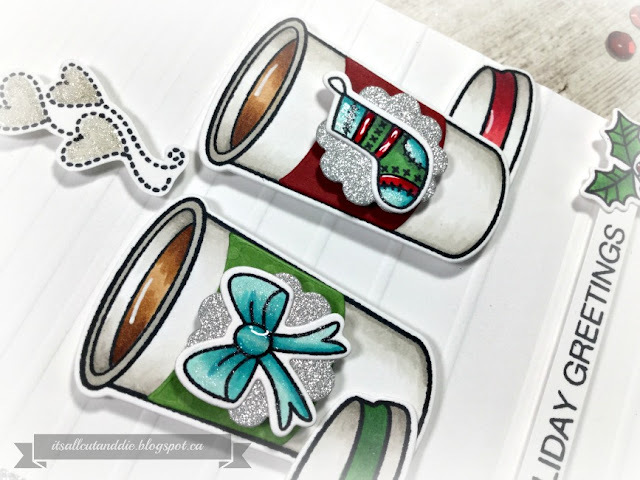 I stamped, coloured and die cut a few images from the Deck the Halls Stamp Set and foam mounted them to the cups. The greeting also comes from this set. 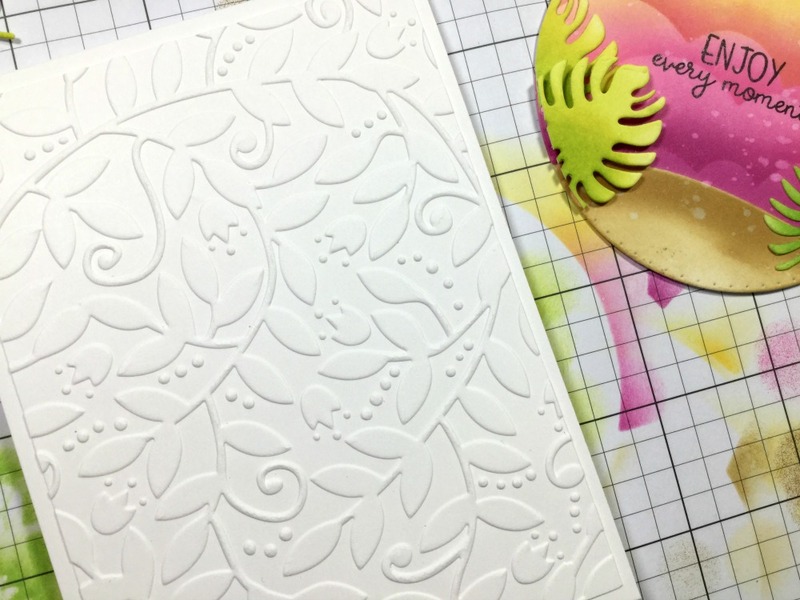 I foam mounted almost everything to an embossed, white card panel and added plenty of shimmer and shine with Glossy Accents and a sparkle pen. I added a strip of red cardstock and silver glitter paper to the right side of the cardbase before adding the panel. 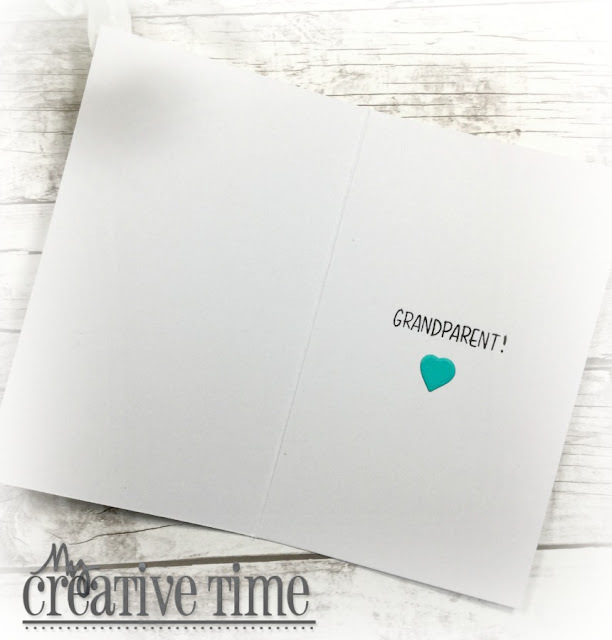 The heart steam was an afterthought as I felt the top part of the card was a little too bare. Please go to the Your Next Stamp Blog and comment for a chance to win a stamp set of your choice!! One comment left on the blog will win. You have until July 24th at 12:00 EST to leave a comment and the winner will be announced on the YNS blog on Jul 26th!! Good luck! Christmas in July Blog Hop with Scrap 'N Stamp Canada!! 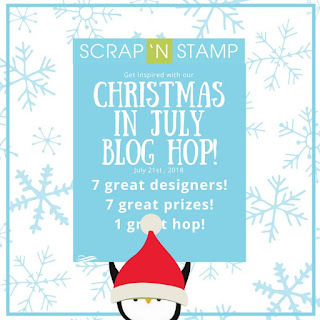 Welcome, my crafty friends to the Christmas in July Blog Hop for Scrap 'N Stamp Canada!! You should have arrived from Tara at the SNS Blog. Don't worry if you get lost along the way, there will be the full line up at the end of this post!! I know that it's very hard to think about Christmas right now, but Oh What Fun I had making a Christmas card!! It was nice to have a break from stamping summer-y scenes!! 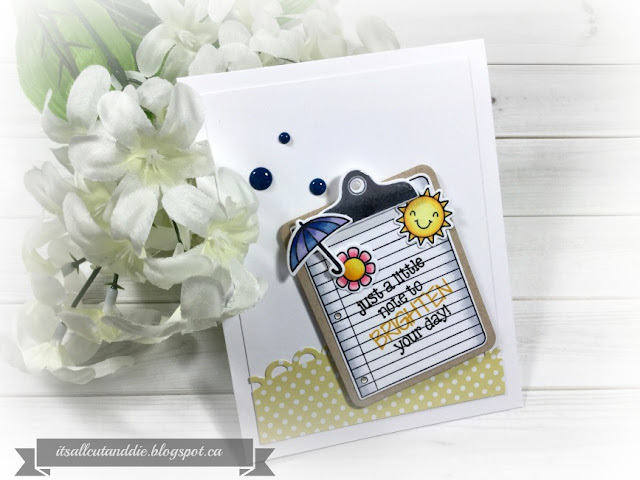 I used the Globe Greetings Stamp Set and co-ordinating Dies from Concord and 9th for my card today. This is not a Christmas set but when paired with other products and using traditional Christmas colours, it works perfectly!!! I chose kraft, red and lots of white embossing for my colour palette. I'm going through a bit of a "kraft phase" right now. Absolutely love the look of it! 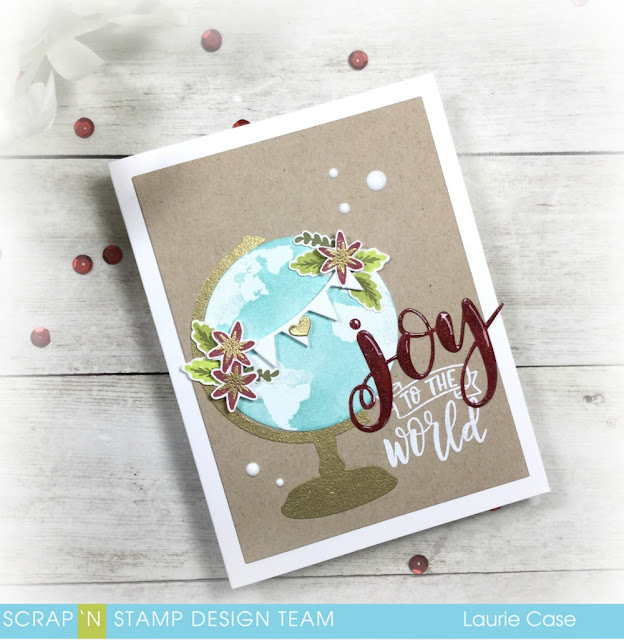 I started by embossing the globe stand with gold embossing powder directly onto a kraft card panel. I die cut the circle (included in the co-ordinating dies) out of white cardstock and then using white embossing powder and Versamark, I used the "land image" to stamp. I use a light blue ink to ink blend over the top of the stamping for the embossed resist look! The Globe Greetings die set has flowers, leaves and a super cute banner. I used them all!! I already had all my red flowers stamped before I realized that the dies are solid so I ended up fussy cutting everything out. I foam mounted the banner and flowers to the globe and added the leaves with Nuvo Deluxe Adhesive. I die cut the MFT Word Die "Joy" out of white cardstock and used the same ink I used for the flowers to add some colour. Before adhering that to the card panel, I did some selective stamping of one of the sentiment from the Globe Greetings set and again, used white embossing powder. The original sentiment says "Welcome to the World". 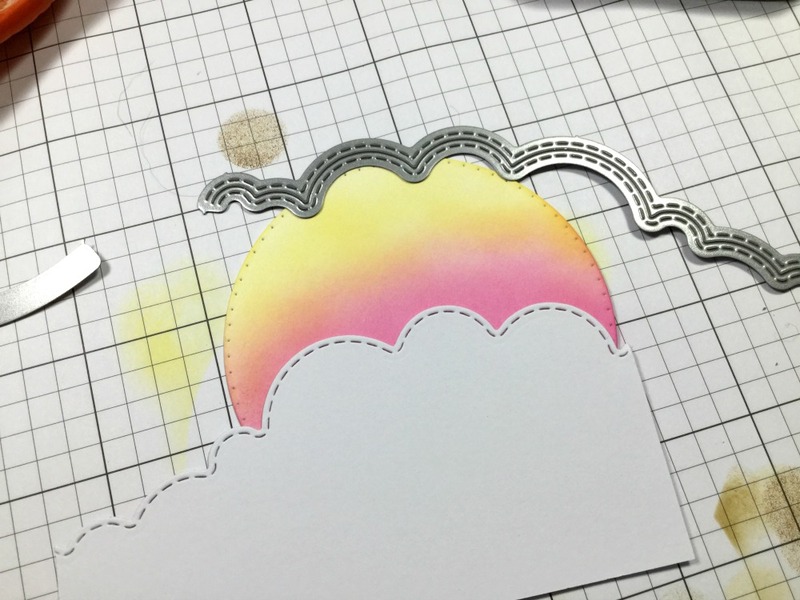 It's amazing what a little masking or stamp surgery can do with your supplies, isn't it? 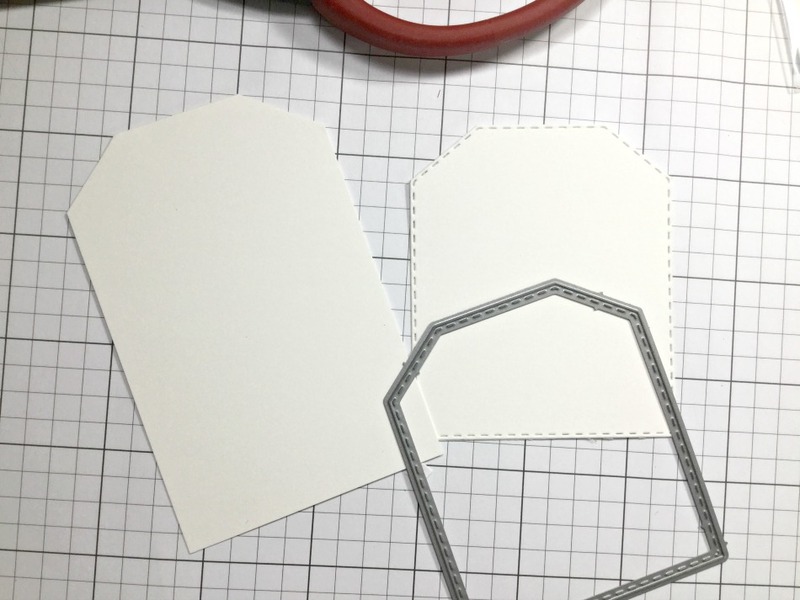 After adhering the die cut sentiment, I used the same liquid glue to adhere the kraft panel onto a white cardbase. I added a lot of sparkle with a Clear Wink of Stella pen and loads of Nuvo Crystal Glaze . I decided to add a few drops of Nuvo Drops in Gloss White to fill the empty areas of the card! 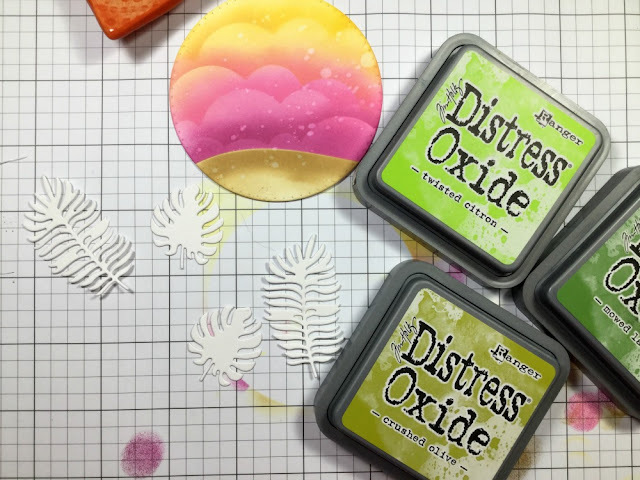 Mixing and matching stamps and dies and thinking a little outside the box is a great way to stretch your supplies!! I hope you find lots of Holiday Inspiration on the hop today!! Up next is the super talented Amy!! 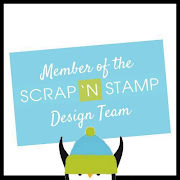 PRIZES: Scrap 'N Stamp is giving away 7 Christmas Embellishment Packs, one for every stop in the hop! All you have to do is leave a nice comment at each stop and you will be entered to win!! Winners will be announced on the SNS Blog on July28th..Good Luck!! SALE ALERT!!!! Right now, if you spend $100, you will receive $25 off your order!! That's an incredible savings! Just use code CJ25. But hurry, this promotion ends July 25th!! Until next time, my friends, stay crafty!! 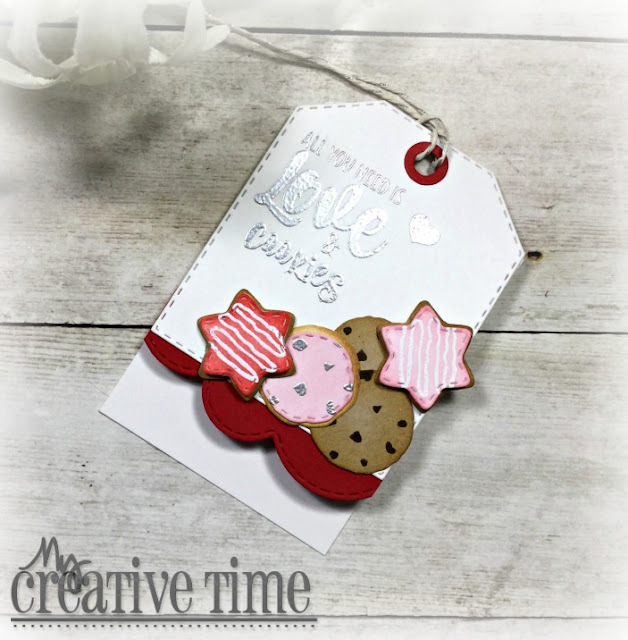 My Creative Time 81st Edition Release Blog Hop!! 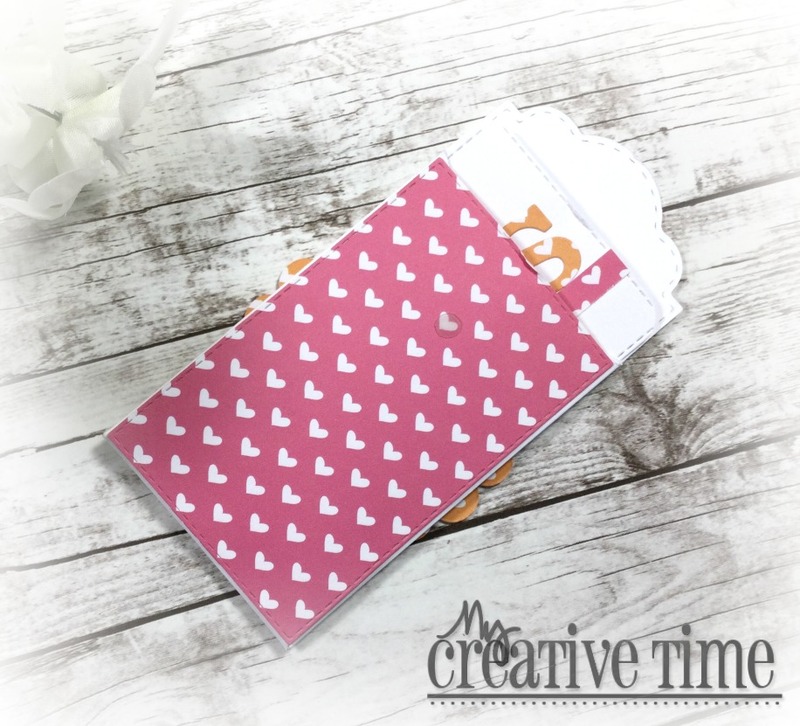 Hello, my friends and welcome to the My Creative Time 81st Edition Release and Blog Hop!! There is tons of inspiration so grab your beverage of choice, sit down and have fun!! You should have arrived from the lovely MISS KENDRA but if not, you can find the entire line-up HERE! All week we've shown you some peeks at the incredible new products that are now available. Today, I got to play with the new Summer Vibes Stamps and Dies (my favourite)!! This set is fabulous and fun!! And it absolutely needed to be watercolored!! I used some watercolour paints to create a bright background. The images were heat embossed in white so they really needed a pop of colour behind them!! What I love about this set is that Emma included two stand alone leaf dies to help complete your scenes...this was brilliant!! I white heat embossed "cheers" then added some white gel pen details as it kind of got lost a little bit. All my images were foam mounted, well, except the palm leaves. Some Glossy Accents and clear sequins add that little extra something ;). 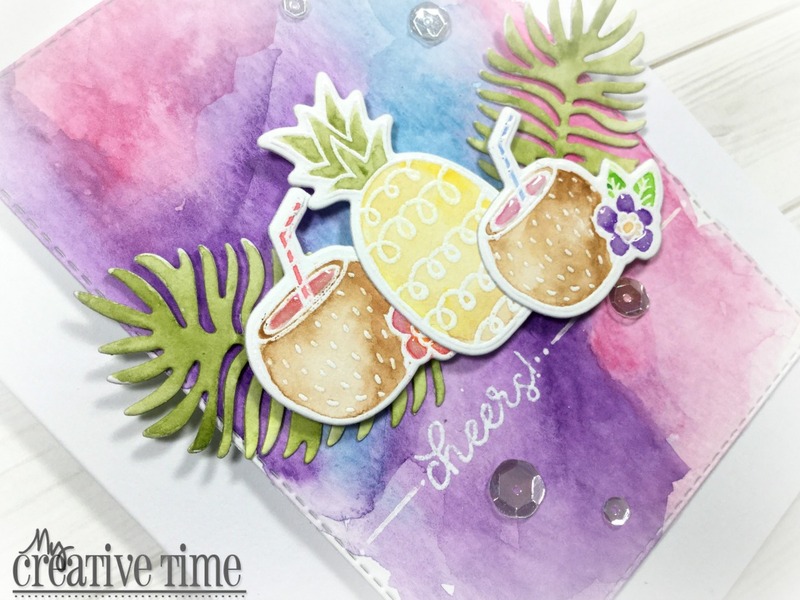 This really makes me want to have a fruity drink, how about you?? I hope you enjoying todays hop and found some inspiration here! Your next stop is the talented MISS LIZ!!! Thank you so much for stopping in today, I love it when you visit!! 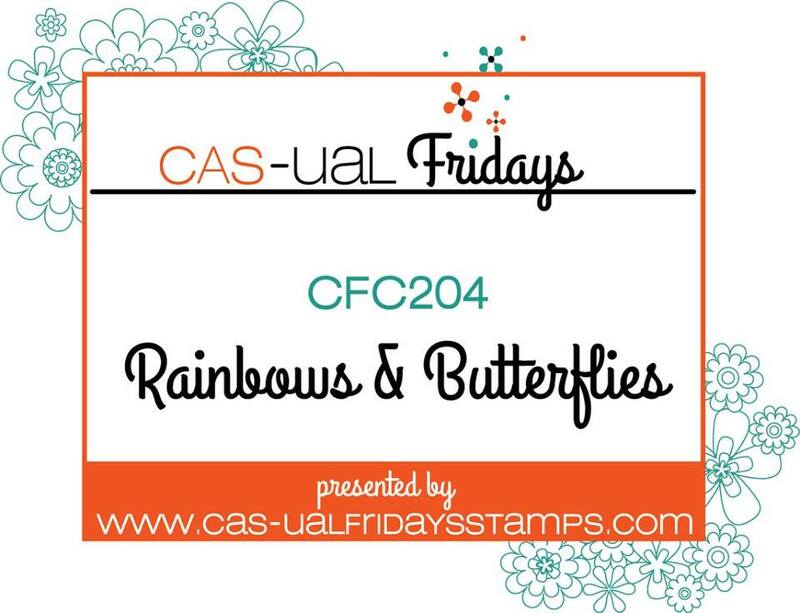 Challenge #204..Rainbows and Butterflies with CAS-ual Fridays! 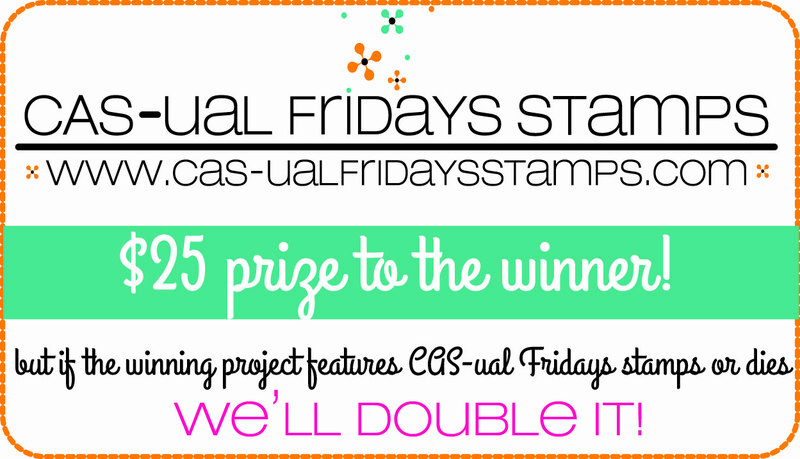 Hi everyone and welcome back to our next Friday Challenge for CAS-ual Fridays Stamps!! This is another fun one..
Rainbows and Butterflies!!! Yay!! 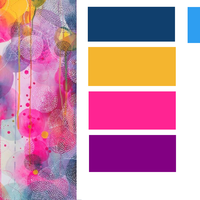 This just screams pretty, bright and cheerful projects!! First off, let me tell you that I do not own a CAS-ual Fridays stamp or die set that has a butterfly in it. But no worries! I'll show you how I overcame that little obstacle. I created a panel using the second largest Bubble Box Fri-Die. I created a mask by running that same die as well as one size smaller together through my die cutting machine. This created a frame mask. I used Tattered Rose Distress Ink to add some colour to the background. I stamped that gorgeous floral image from the Truth Is Stamp set. Once directly onto the panel and once onto some white cardstock where I could colour and use the co-ordinating Fri-Dies to cut the flowers out. That's where I incorporated the "rainbow". I adhered the flowers by using the dies and fun foam. I didn't want any of the stamped image underneath showing which is why I didn't use foam tape. To create the butterflies, I used the hearts from the Fun-Fetti Fri-Dies set. I coloured each heart and adhered them together to form the shape of a butterfly. I drew on the bodies and the antennae as well as a few dots and dashes. 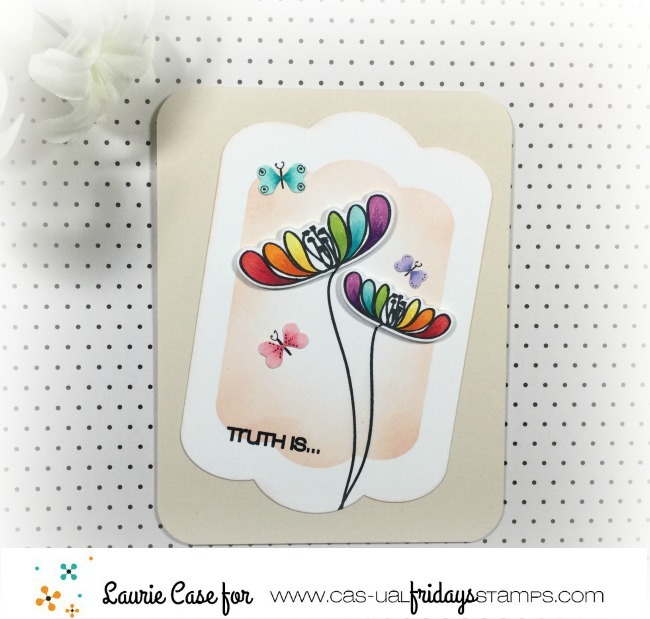 To play along, simply upload your creations over at the Fridays Challenge Blog. 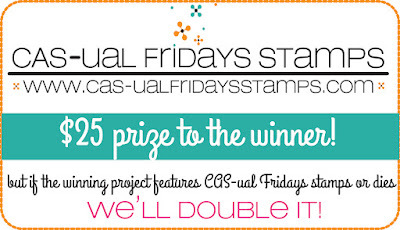 You could win a $25 gift certificate to CAS-Fridays Stamps! But if you use CAS-Fridays products on your creation, that amount doubles..wow, $50!!! Have fun with this challenge! I can't wait to see all your amazing creations! My Creative Time 81st Edition Release Sneak Peeks Day Three!! Hello friends and welcome back to the third and final sneak peek for this release!! As you may already know, Emma creates the most amazing treat holder and envelope dies!! 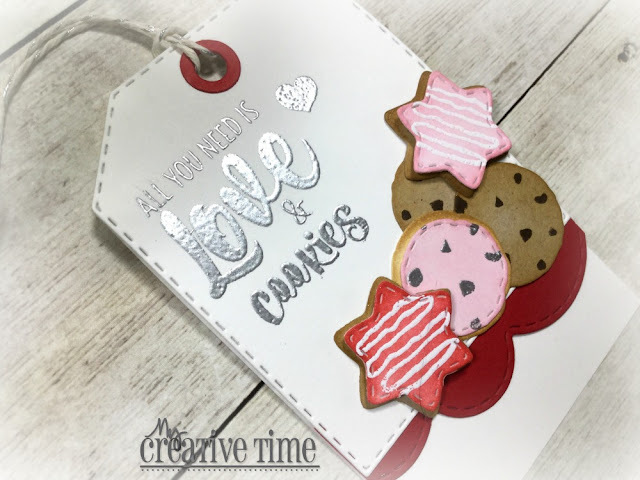 So today, it's all about the Treat Envelope Die!! 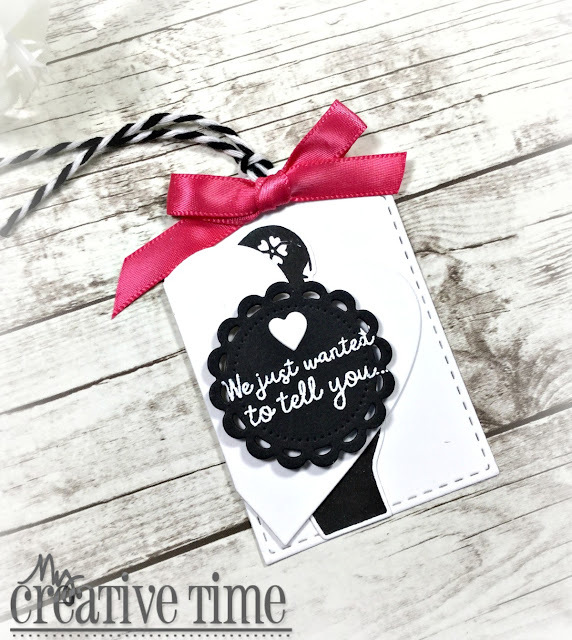 This is a super cute die that can hold a gift card, money or even a little surprise!! Because I didn't have a gift card of any sort in my house at the time of making this project, I thought it would be fun to create a note that can be tucked into a lunch box or maybe even a briefcase :)! 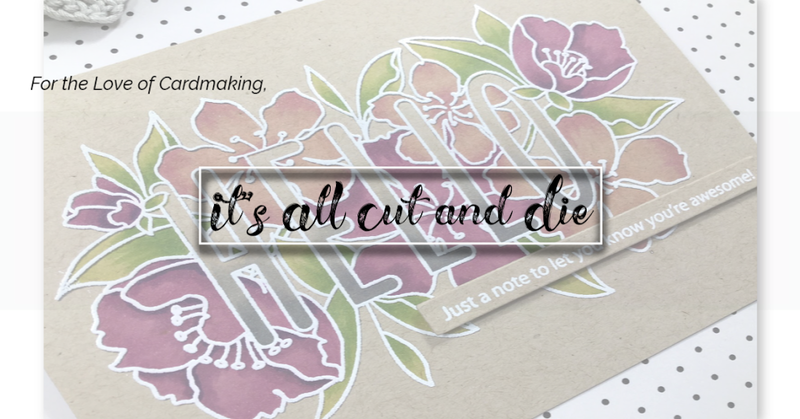 I decorated the front of this sweet envelope with a die from the Bunch of Stitched Doily Dies and a sentiment from the Just A Note Stamp and Die Set. I few hand drawn squiggles and dots fill some of the white space! I thought it would be fun to decorate the back side as well. For the surprise message inside, I used one of the smaller rectangle dies from the More Stitched Rectangular Dies which fit perfectly!! I think this would be a cute and fun surprise for someone to stumble across!!! Remember that tomorrow we are having a blog hop full of inspiration using the products we've been teasing you with all week!! There is also a prize up for grabs and of course, a sale!! Hope to see you all back here tomorrow! Thank you so much for stopping by!! My Creative Time 81st Edition Sneak Peek Day Two!! Welcome to Day Two of Sneak Peeks!! I'm super excited about the stamp and die set we are showing you today!! It's called Summer Vibes and it's awesome!! This set is full of summer themed sentiments and images as well as a couple of stand alone dies to help you create your summer/tropical themed cards!! 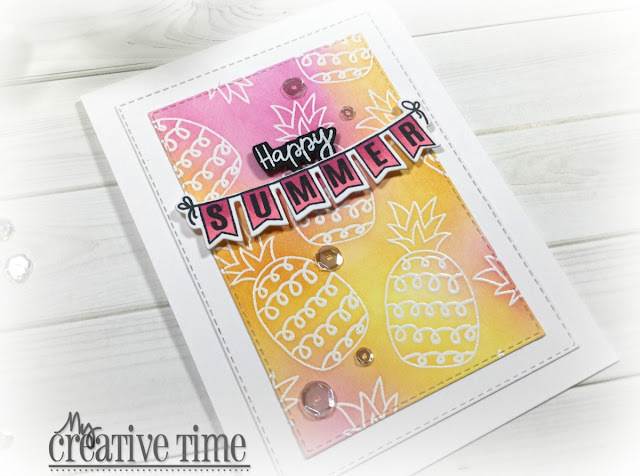 A little heat embossing and ink blending over those fantastic pineapples created this super summery background!! I love that banner and simply coloured it up with some pink markers! I left the cardbase white as I wanted that ink blended background to pop off the card!! I used the More Stitched Rectangular Dies for the panels. I'm not going to lie, this is my favourite from this release! There is so much more to this stamp and die set than you see here!! 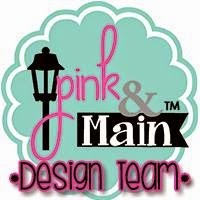 See you tomorrow for our last sneak peek!! My Creative Time 81st Edition Sneak Peek Day One!! 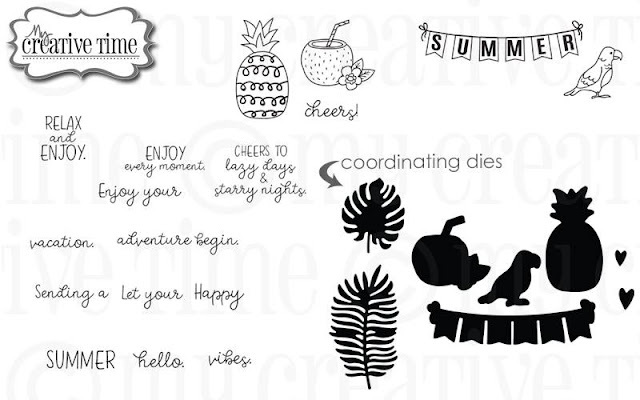 Hello and welcome to Day One of Sneak Peeks for the latest edition release from My Creative Time!! Today we are showcasing the new Baby Bump and Baby Bump Add-Ons!! 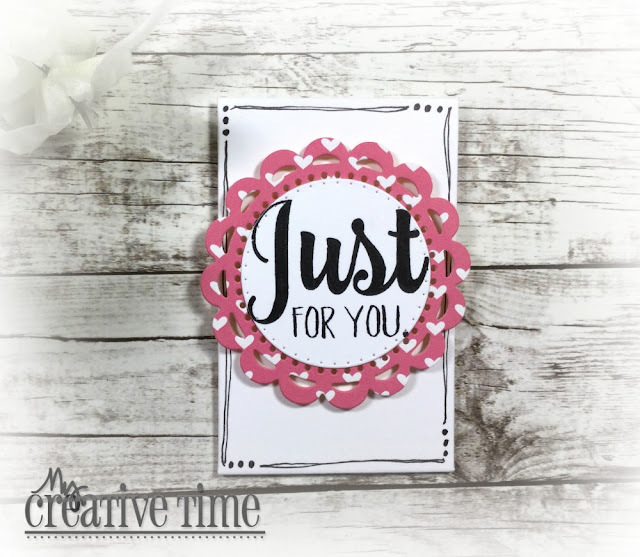 The add-on stamp set is this month's freebie!! These sets are absolutely perfect for baby shower cards, favours or in my case, pregnancy announcements and gender reveals!! I also made a bonus card, so stay tuned for that! My first project is more on the masculine side and could be used to announce that a baby is on it's way! 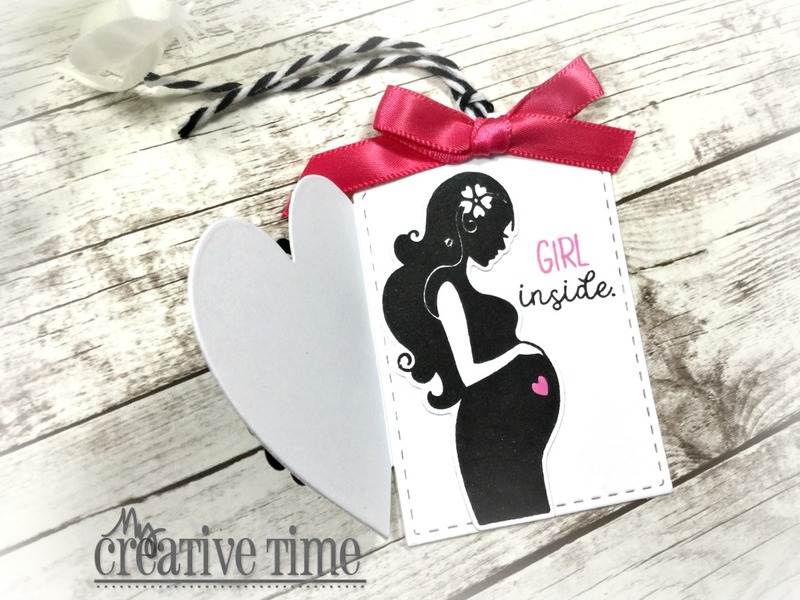 I used the Baby Bump Add-Ons stamp set for this one. I used teal as an accent to maybe reveal the baby may be a boy?? I dressed up the front of the card with a stamp from the Mad For Plaid Stamp Set. Good for both the upcoming Grandma or Grandpa!! My next project is for a gender reveal. I used the Cute Heart Tag Die and the Baby Bump stamps and Dies for this. That silhouette image is just gorgeous!! Now onto my bonus project. 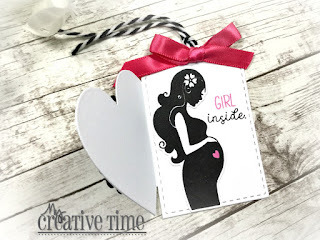 I made a shaped card to give some encouragement to the mom-to-be!! I ombre stamped the silhouette image and placed her onto this shaped card made using the Bunch of Fun Circles Dies. I added a couple of flowers from the Stitched Pretty Flower and Leaves Dies. This card is very soft and feminine. Thank you so much for stopping by!! Come back tomorrow for another awesome sneak!! Hello friends and welcome back!! Today is the start of a new sketch/colour challenge for Your Next Stamp. You can choose the sketch, the colours or mix things up and combine both!!! 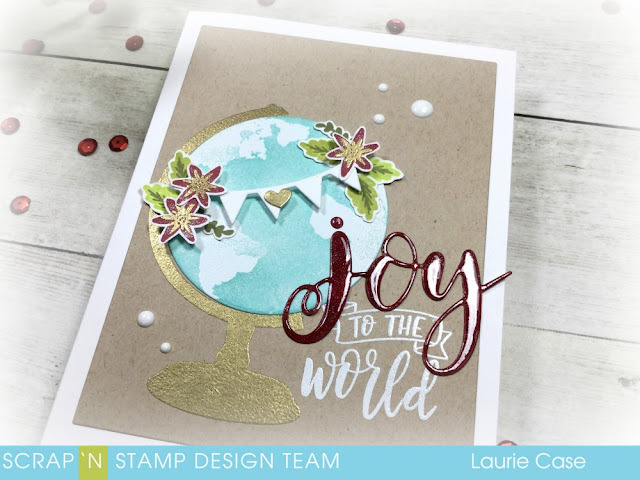 You're playing to win a $15 gift certificate from the Your Next Stamp shop BUT if you use YNS products on your creation, the dollar amount increases to $20!!! Confession: I don't usually go for a sketch challenge!! I'm not sure why but my creative juices stop flowing when I see a sketch, haha! So, of course I went with the colours! 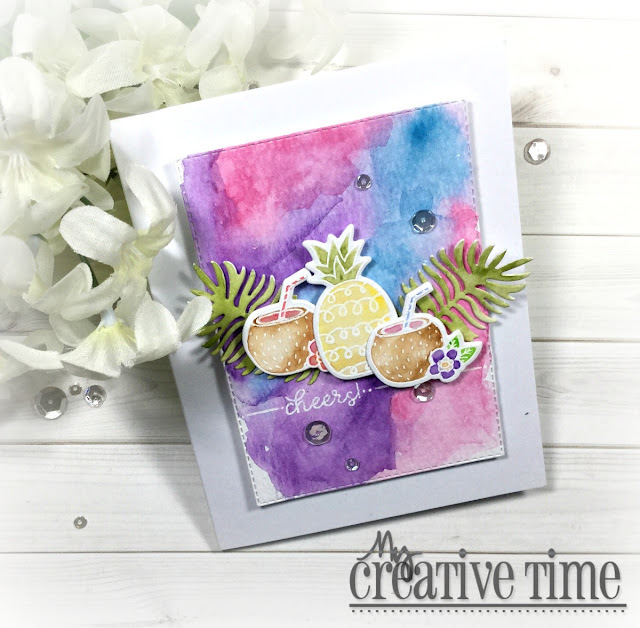 Lots of glitter pen and Nuvo Crystal Glaze was added to give the sparkle and shine that I adore on cards! I hope you all have a chance to play along! I had so much fun with these products and colours! 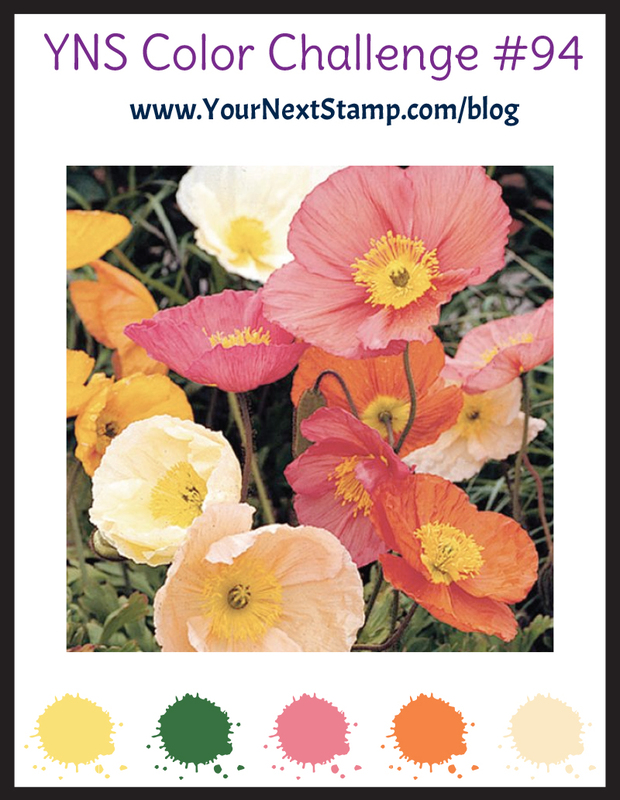 Remember, all the details can be found over at the Your Next Stamp Blog!! Thank you so much for stopping by today!! See you soon! Your Next Stamp DT Dare...Pop It Up!! 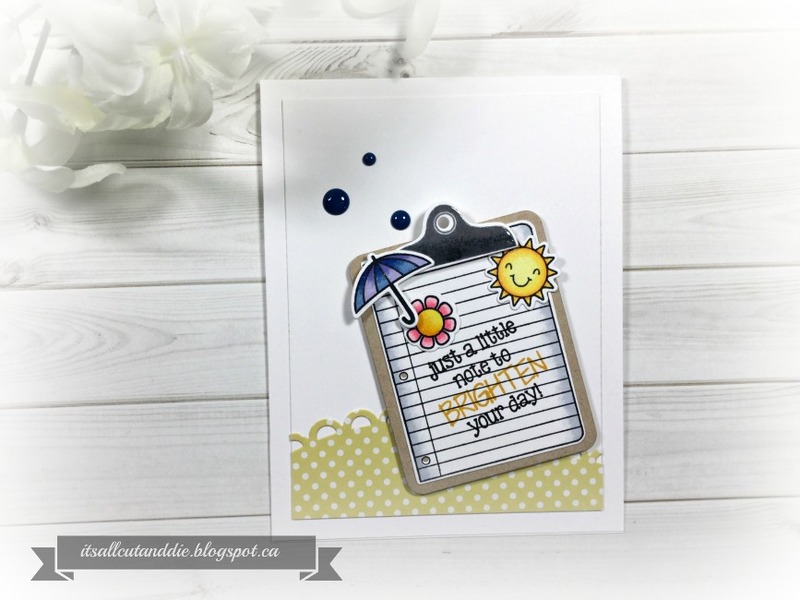 Your Next Stamp July Release Blog Hop!! Your Next Stamp July Release Preview!! 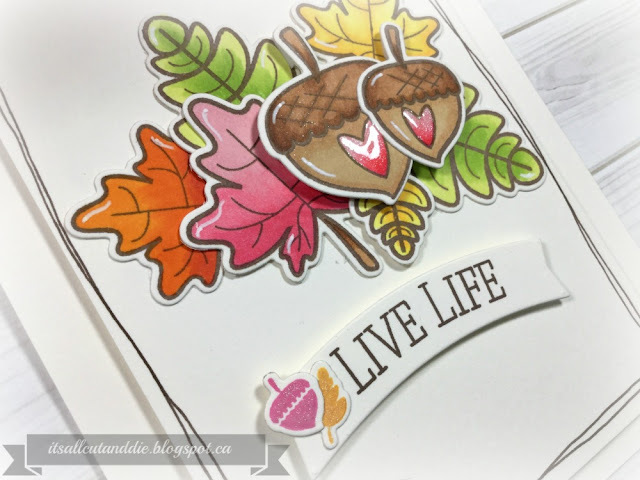 One Stamp, Two Ways with Scrap 'N Stamp Canada! Your Next Stamp Guest Designer!